I've created a range of natural pop ups. They are proving to be just what the fish want. 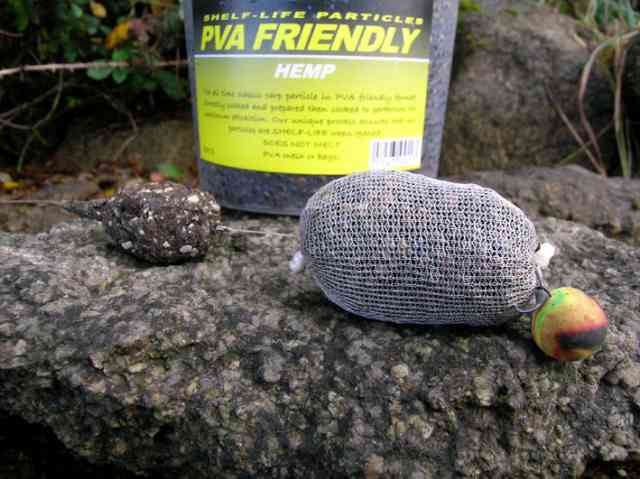 This is an unbelievable edge in presentation - cooked particles that will go straight into a pva bag without melting it. 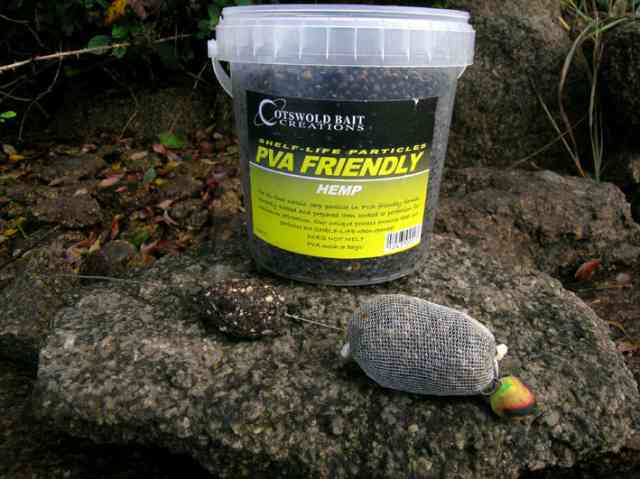 To get the best from this range of products I'd recommend using a PVA mesh presentation. This gives an almost unlimited amout of time to create the bag, rig it up and cast it out. If you choose to use solid bags the process will extend the time you have to cast out before the bag begins to melt. Each tub will make dozens of bags but to make sure the particles remain in perfect condition between uses they have been made shelf-life too. In the picture I've used a bag of Hemp slid down the hook length to conceal it on the bottom, completing the trap with a freshwater snail Camopop.